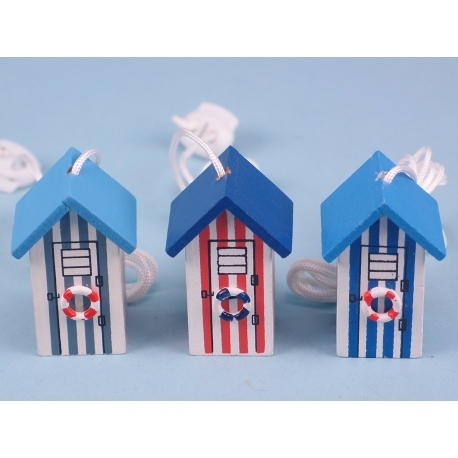 These beach huts nautical light pulls are available in an assortment of three colours. For more information on these light pulls or to enquire about carton prices, please call SDL Products on 01202 291122. 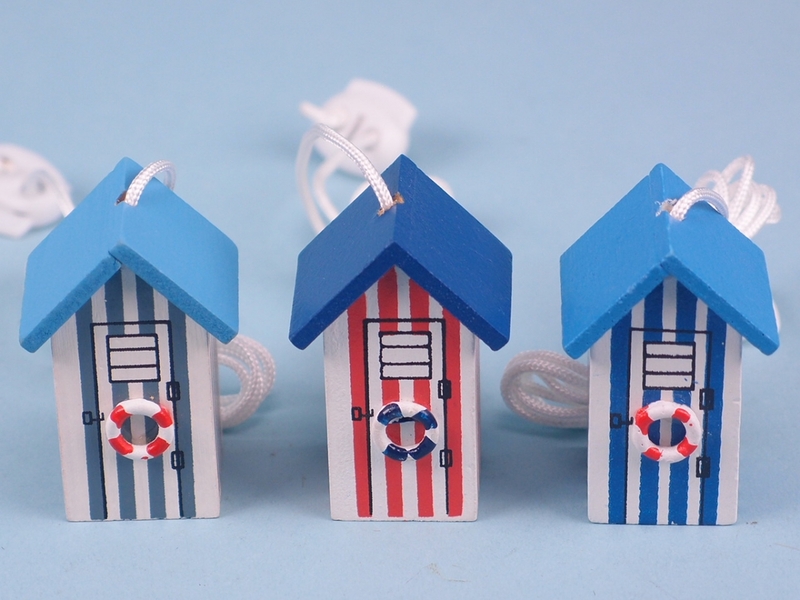 To add a little nautical flare to any room, simply add one of these beach hut light pulls. This is a practical yet fun addition to any room. Crafted from wood, with a 1m nylon cord, these beach huts nautical light pulls are available in an assortment of three colours. Each light pull is hand painted in nautical colours of blue, red, and white. Perfect for people interested in all things nautical. Measuring 5cm, light pulls are sure to add a little touch of fun and excitement to any room. For more information on these light pulls, please call SDL Products on 01202 291122.